This isn't one of those super pretty, perfectly finished off projects but it is functional and has helped me to be more organised. 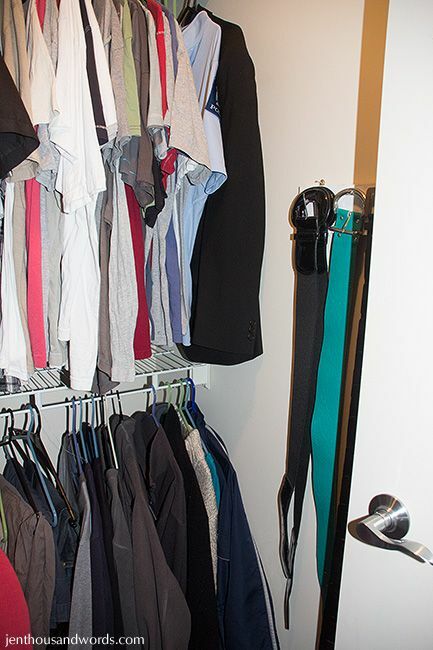 My belts were hung on some over-door hooks on the back of our closet door but the hooks had become a hot mess. 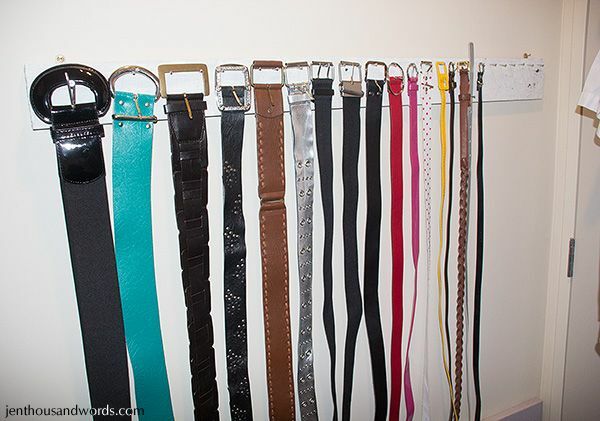 Besides the fact that I have more belts than hooks, there were also Grant's ties and a hat hung there and it's where I hang items that need to be ironed (until there are enough to make getting out the ironing board worth it). 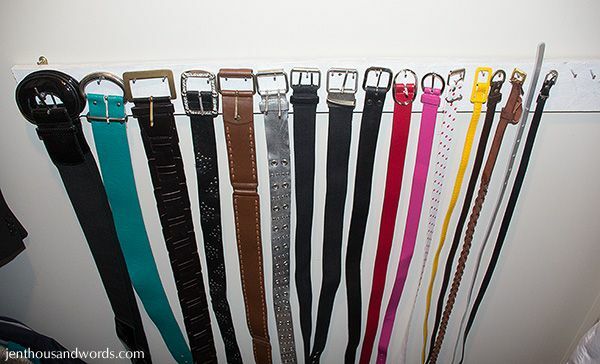 It was a pain trying to find or get a particular belt so I knew I needed a better solution. ... and gave it a quick coat of white paint. 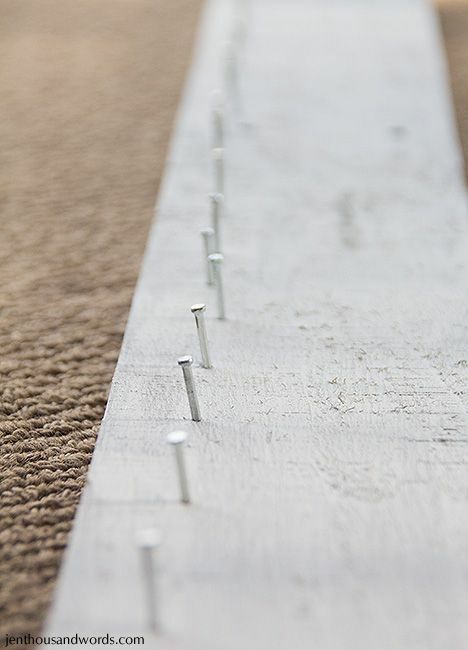 Then I picked up some 1-inch nails from the dollar store and started banging them in, while using the belt buckles to work out roughly where I wanted them. 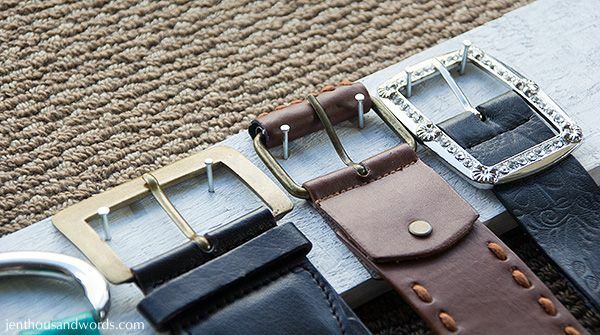 Big buckles got two nails each while small ones were fine with just one. I decided to hang it onto the blank wall behind the door of our closet. 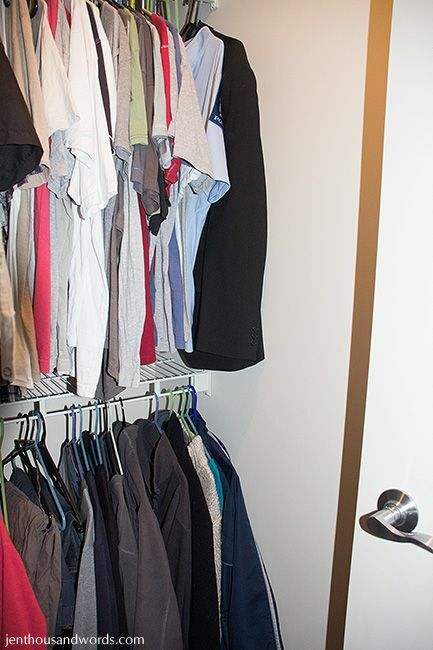 ... and here it is with the belt hanger up.